Be careful! Have you ever been aware of your IP adress? Your IP exactly points to your location, with very high precision, right to the door of your apartment. 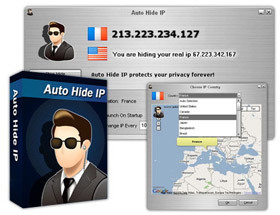 Every time you visit a website, your IP address is completely exposed. You can also select fake IP from different countries via “Choose IP Country” option and can Check IP directly.